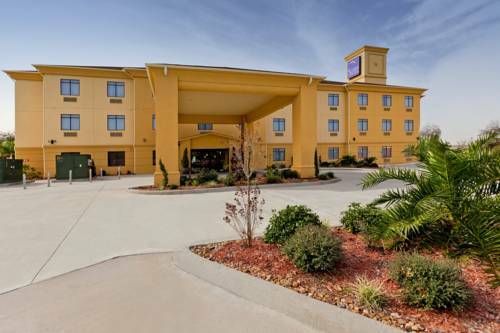 The Sleep Inn and Suites Hwy 290/NW Freeway hotel in Houston, TX will give you a simply stylish experience. This smoke-free hotel is located near destinations like the Northwest Crossing, University of Houston, Northwest Mall and Museum District. NRG Stadium, grocery stories and bars are also close. Enjoy amenities like free breakfast, free WiFi, free weekday newspaper and guest laundry facilities. Rooms include a flat-screen TV, microwave, refrigerator, hair dryer, coffee maker, desk, iron and ironing board. Also, earn rewards including free nights and gift cards with our Choice Privileges Rewards program. 100 percent non-smoking hotel. Cleaning fee of $250.00 if someone smokes in the room. - George Brown Convention Ctr.